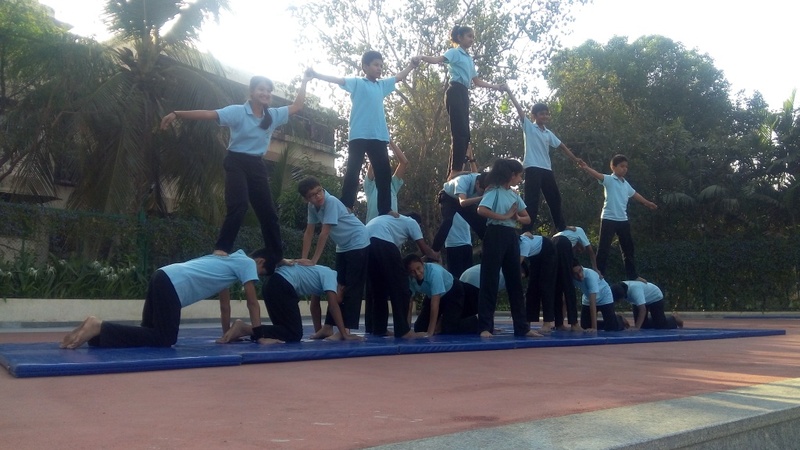 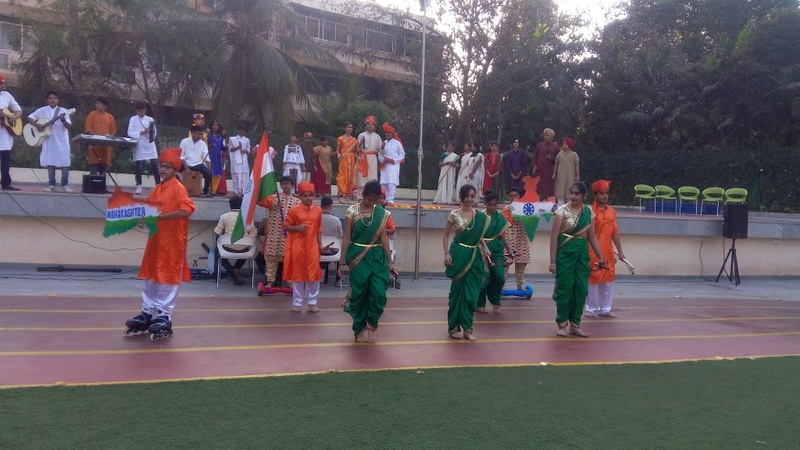 On the top of the World...: Republic Day Celebration at Witty International School Pawan Baug 2018-19. 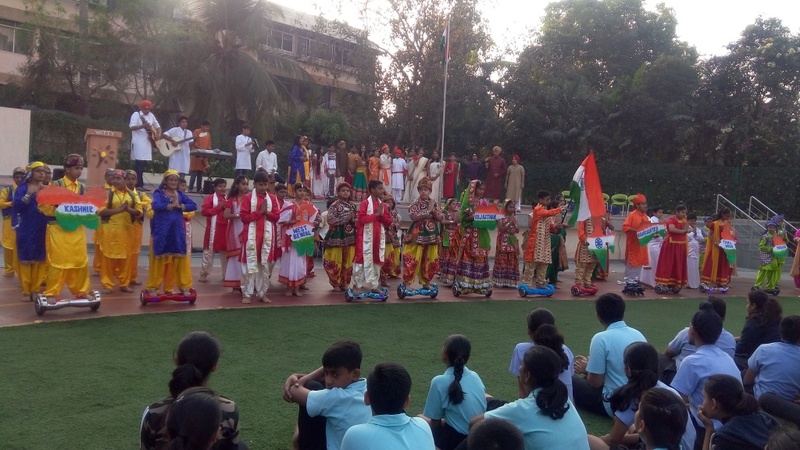 Republic Day Celebration at Witty International School Pawan Baug 2018-19. 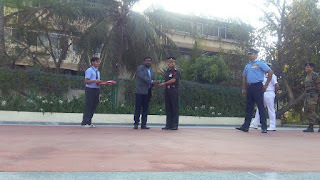 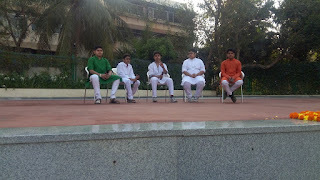 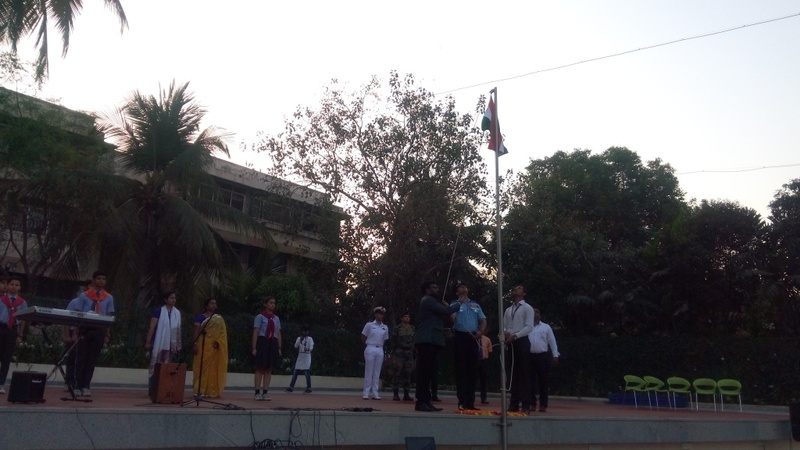 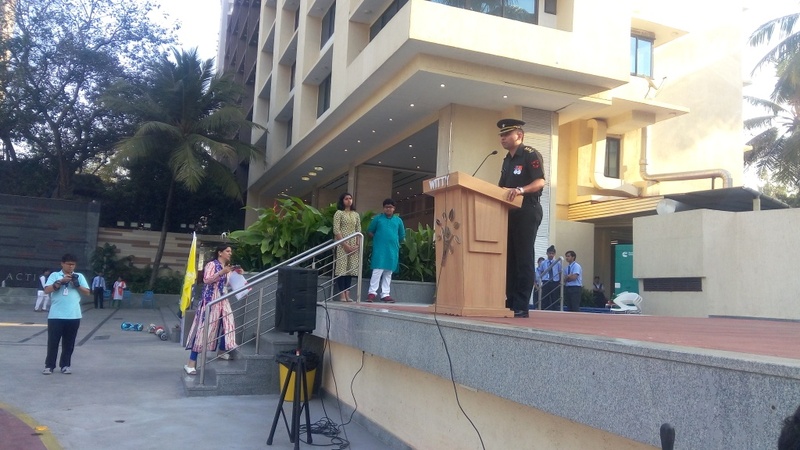 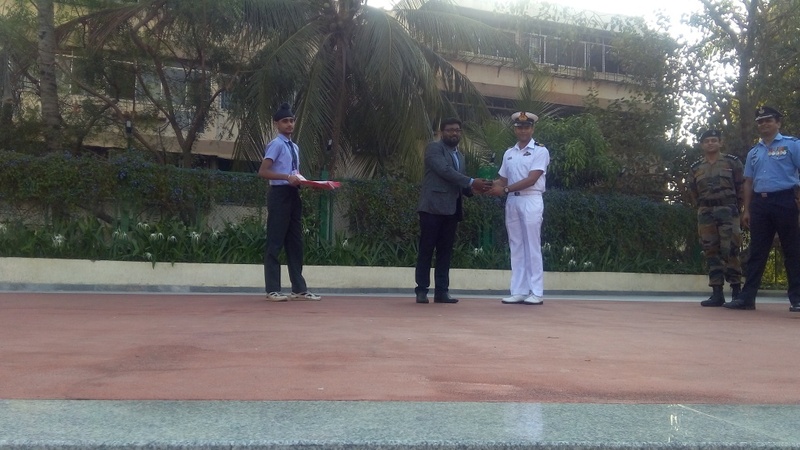 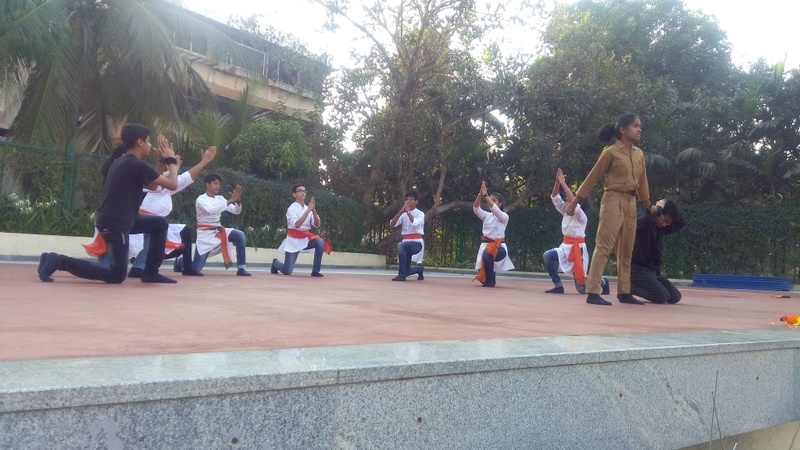 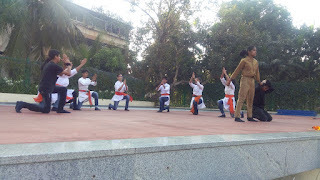 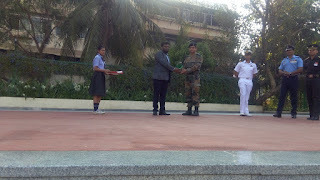 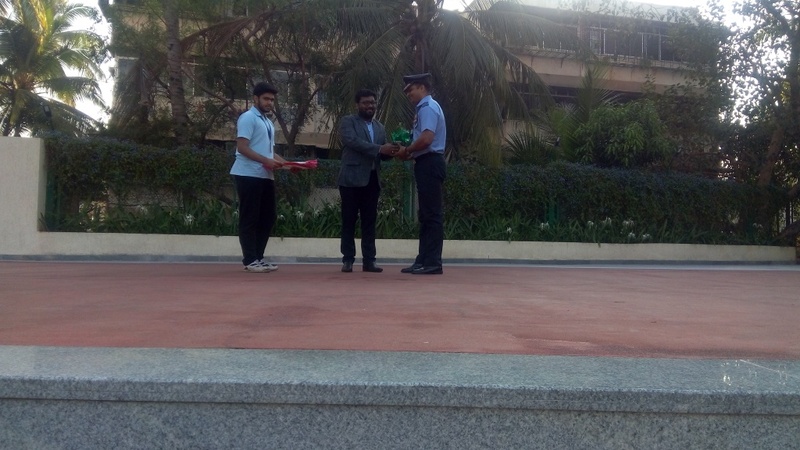 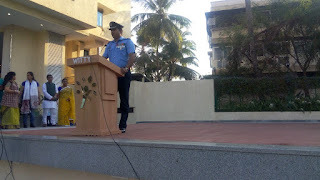 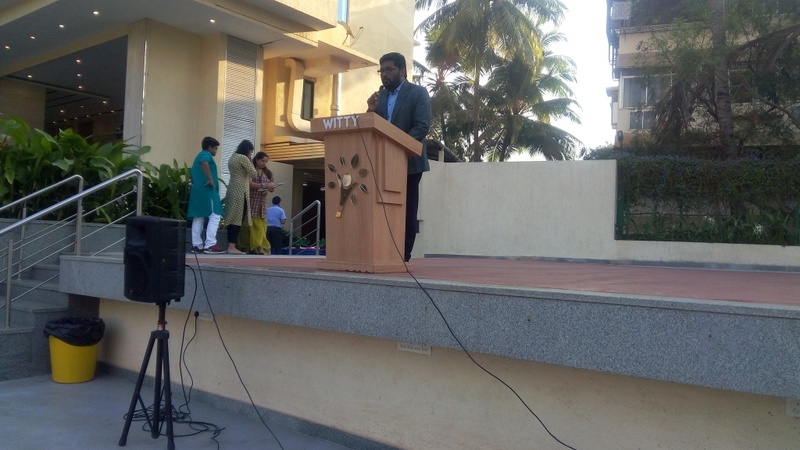 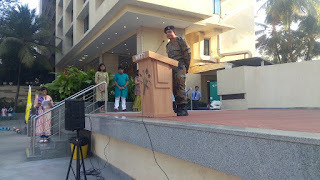 Witty International School, Pawan Baug, reinforced solidarity, unity and reignited the sparks of Patriotism on 26th January, 2018 when the Tricolour was hoisted by the Guests of Honour, Wing Commander, Vikas Raghav, Indian Air Force, Captain Rajan Seervi, Indian Army, Lieutenant Rohit Yadav, Indian Navy and Lieutenant Prateek Kumar, Indian Army while the teachers and the students pledged their allegiance to the flag and promised to carry their nation to greater heights and achieve success in various walks of life with the National Anthem reverberating in the surroundings. An extravaganza of colour, rhythm, pride & love for the country followed the ritualistic flag hoisting. 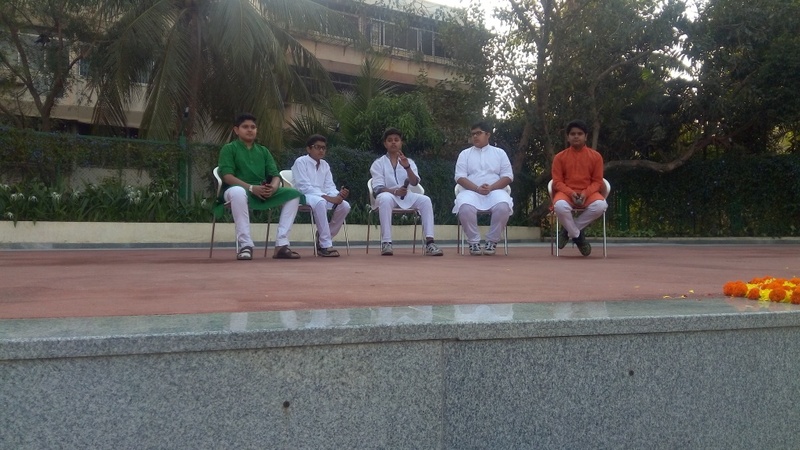 The Student Council formally welcomed the esteemed guests to the school ground and the plethora of events began. 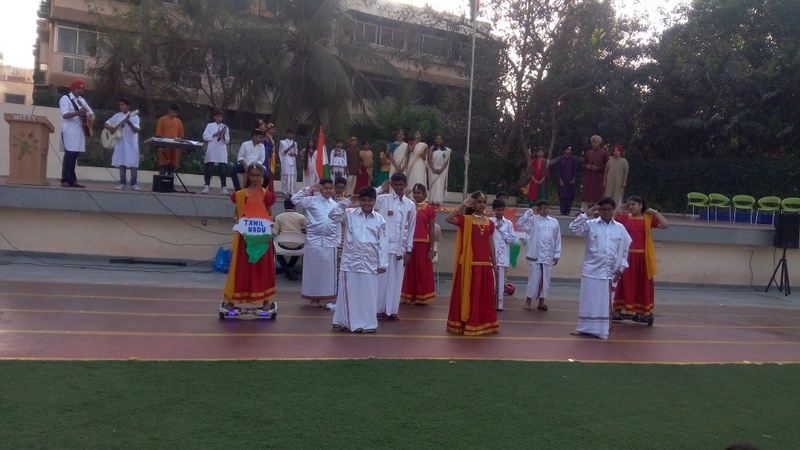 The crowd cheered and applauded as Student Council, students from all the four houses and the School band marched past the saluting dais. The school band displayed harmonic development and unparalleled rhythmic coordination among children, raising the art of making music to a distinguished level. The programme commenced with a spectacular tabloid performance where we got a glimpse of India on the wheels. 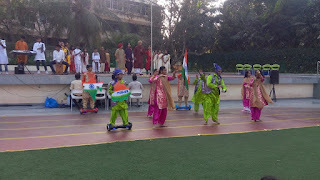 Students mesmerised the audience by performing on skates and segaway and presenting each state wonderfully. 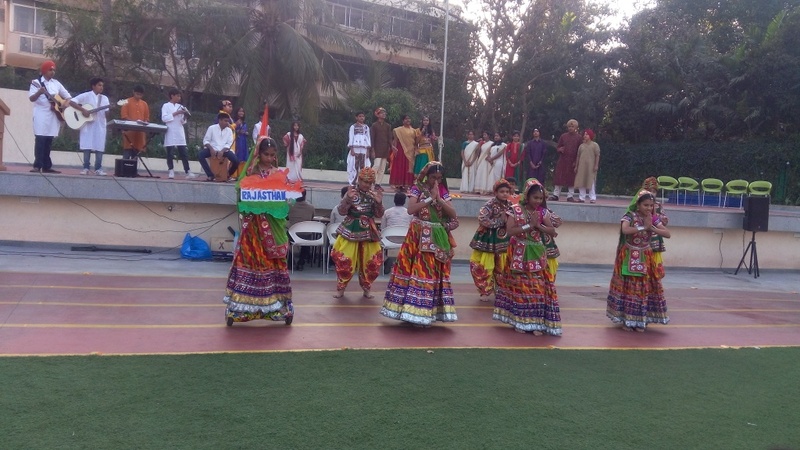 The highlight of this act was that it was performed on a live musical performance- Sound of the Nation, a multilingual musical displaying the diversity of India. 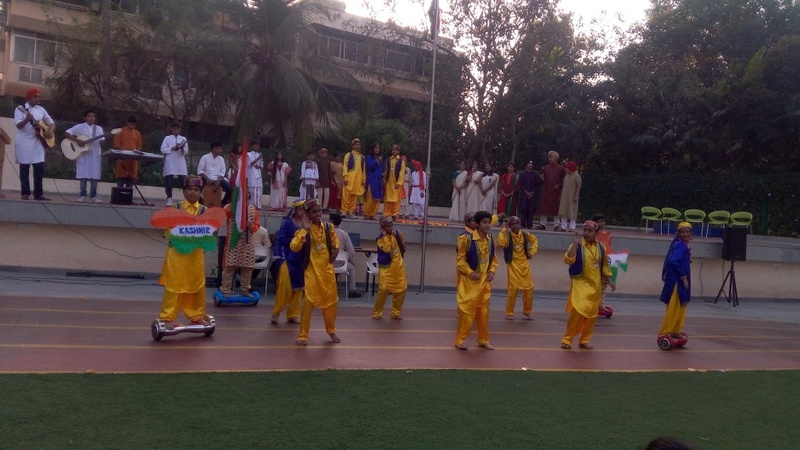 This act paved way for Kavi Sammelan where the patriotic fervour gripped the students as they united the whole nation with a universal appeal of unity and brotherhood in the form of poems inspiring Nationalism. 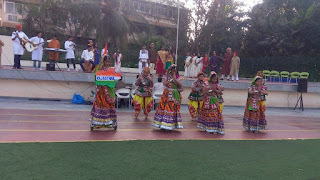 The Indo fusion welcome dance showcased the women empowerment and the ability that they possess to conquer the world. It was inspiring for every woman to know that today woman has earned name in all the fields and today’s independent woman is leaving no stone unturned to prove herself capable of doing everything. 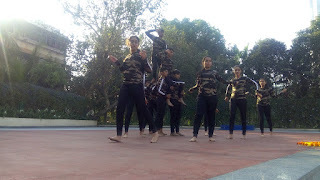 Any republic day event is incomplete without remembering the sacrifice and sleepless nights spent by the armed forces to keep us safe and sound.Thus to transcend the audience in that era a patriotic dance gripped the audience paying a tribute to the defence personnels. This was followed by a spell-binding finale gymnast and human pyramid performance paying our homage to the Nation by felicitating the Indian Armed Forces for the commendable work done by them in protecting the country from internal and external dangers. 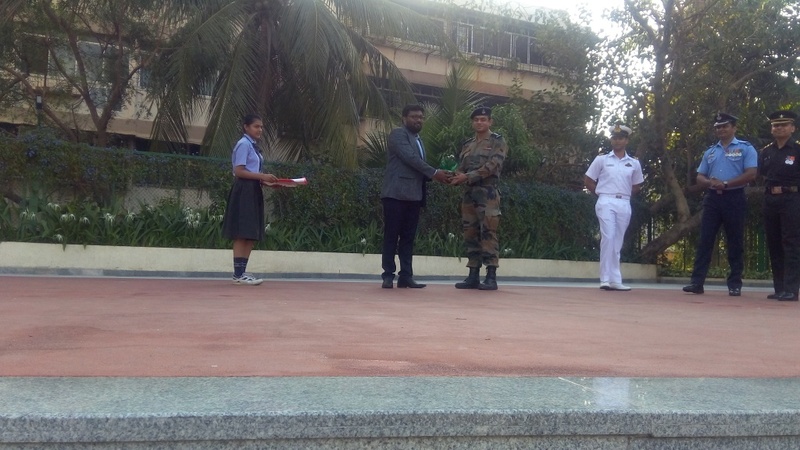 The Chief Guests while being felicitated were overwhelmed with the students’ zeal and enthusiasm in involving themselves with such finesse in the Republic Day programme. 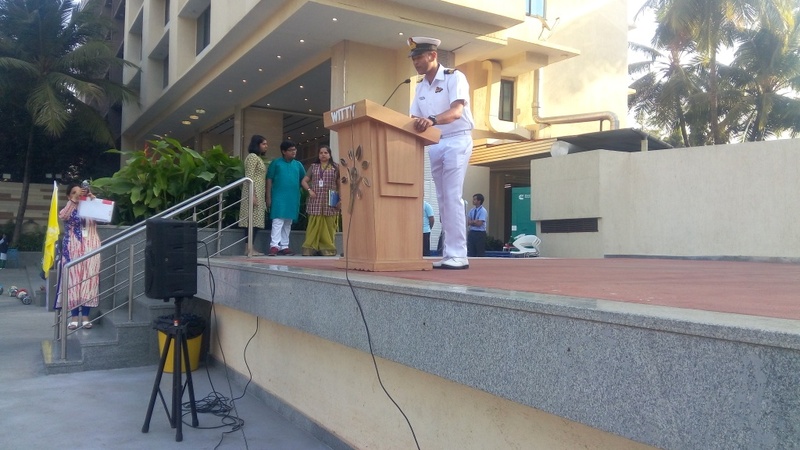 Wing Commander, Vikas Raghav said, “I am proud to see that the future of our country is in safe hands for I can see unity, strength and self-realization within all of you. 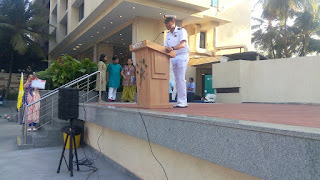 You are treading cautiously on the path of becoming the face of the nation”. 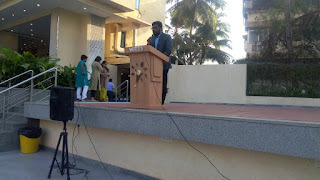 The event ended with the vote of thanks rendered by the School President. 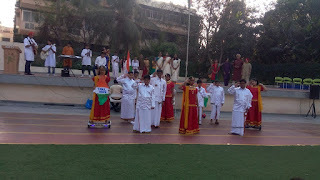 Overall the programme successfully showcased India’s progress from the pre-independence era to the new millennium focusing on the core of India’s achievements and its unique identity. 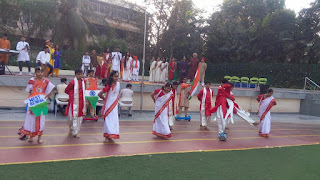 The Republic Day programme ended with patriotism reverberating everyone’s minds and happiness enveloping our souls.